My daughter just turned 10 and over the weekend we celebrated her milestone birthday at a Bakery. Cupcake Wars, Next Great Baker and Cake Boss are the only shows she watches all day everyday. 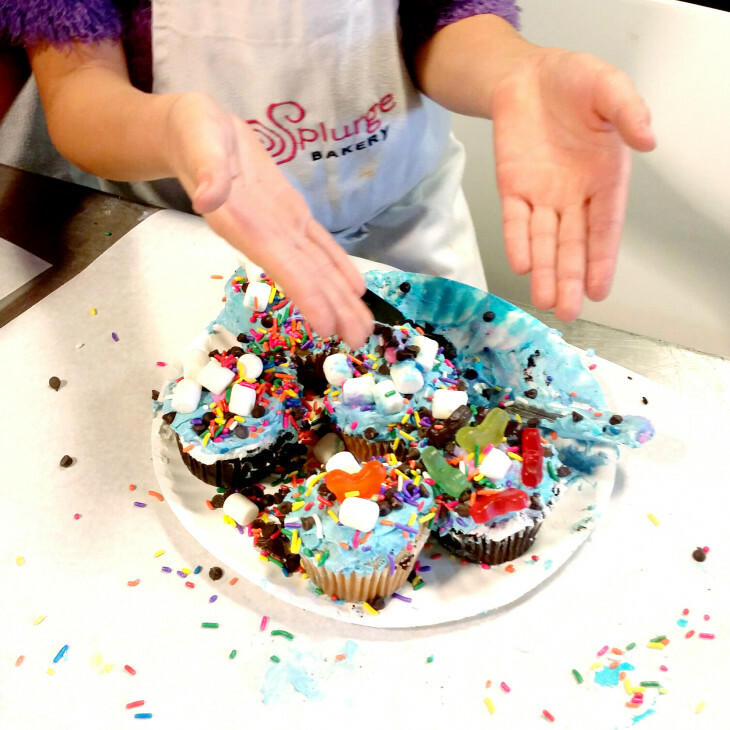 Splurge Bakery was the perfect place for her party! 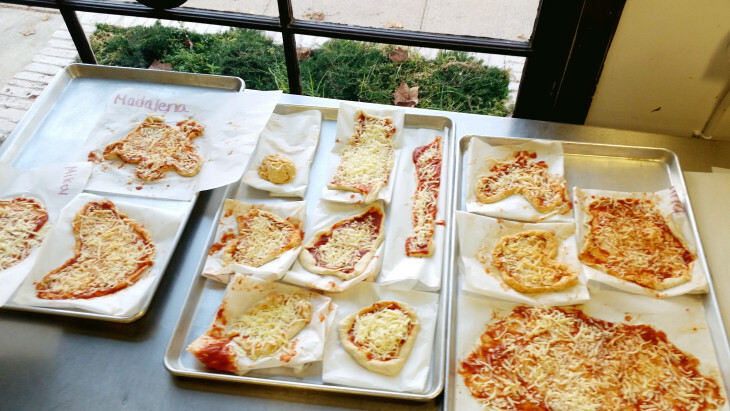 Before frosting the cupcakes for the Cupcake Wars Music Theme competition, the kids had to make their own Pizza. 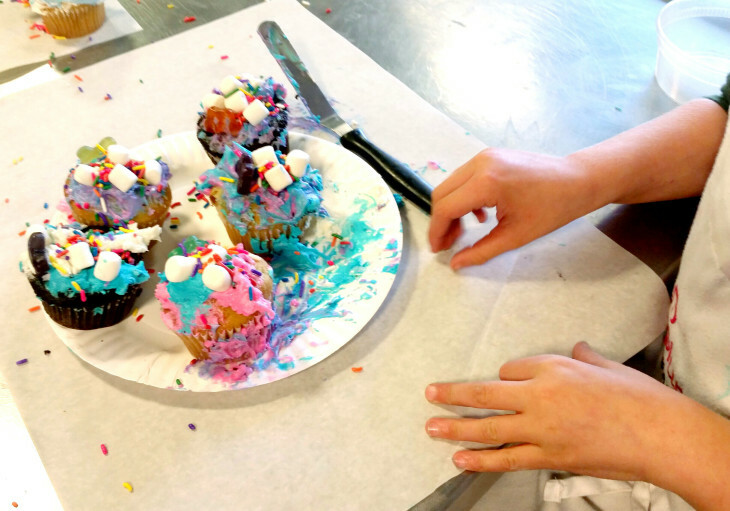 They had so much fun shaping their dough, throwing flour all over the place and just being kids! They ended up creating all sorts of shapes and they sure enjoyed eating them too! Next, it was time for dessert. Two teams were created. Just like Cupcake Wars on the FoodNetwork, a theme was selected and the Birthday girl decided that it would be MUSIC. 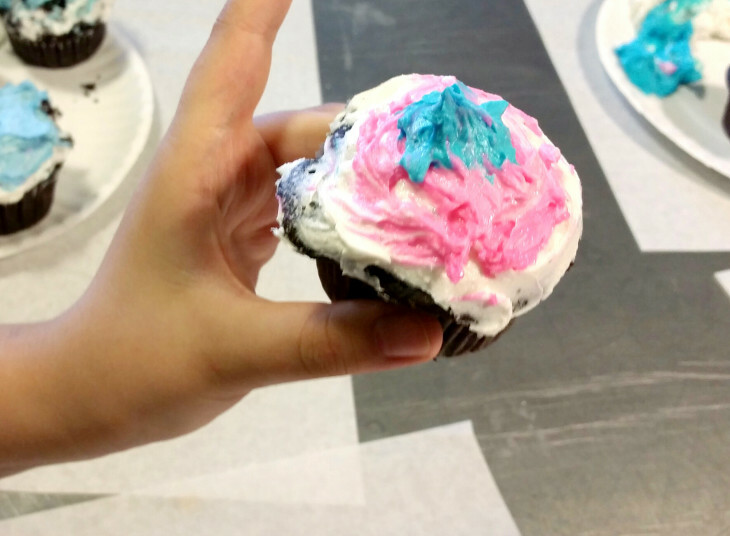 Each team had to creactively frost and decorate their cupcakes to reflect the theme. And creactivity is sure what we got! With all the gummies, sprinkles and swedish fish, the kids were in Heaven. It was like Halloween came a week early or something! Julie had this fantastic idea to create Splurge Bakery in 2006. Everything the Bakery does is baked to order and handmade, using the finest ingredients. I am so happy we had our daughter's birthday party there.